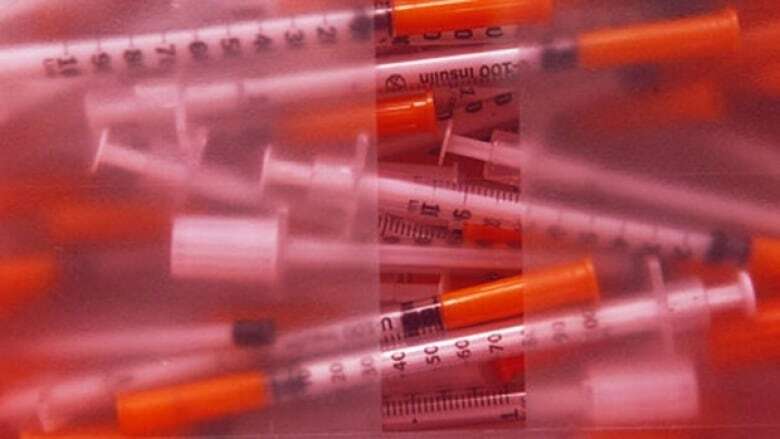 Advocates with the Canadian HIV/AIDS Legal Network say the pushback against a new prison needle exchange program is based on misconceptions about inmates and drug use. "I think ultimately it gives the wrong message when we have a zero tolerance for drug use and then we are offering these kinds of [programs] for inmates," said Harold Albrecht, the MP for Kitchener-Conestoga. "I think what we need to be doing is focusing far more on prevention and on treatment .. rather than facilitating continuing drug use." "I think the ideas are based on a lot of misconceptions," said Sandra Ka Hon Chu, the director of research and advocacy for the network. "These programs have existed for over 25 years around the world, and they've shown to lead to greater staff safety. They don't lead to needle attacks." Ka Hon Chu said there is "a myth" that people use more drugs because of programs like the needle exchange. In reality, she said, they lead people to have more honest conversations with healthcare staff about drugs, which in turn leads to more referrals to treatment programs. The union representing correctional officers in Ontario protested the program in the week leading up to its proposed launch, calling it a "contradiction" of correction's drug policies. "[It's] an acknowledgement that drugs do exist in prison like they do in the community, and we need to take some pragmatic measures to address infectious disease, things like abscesses and even overdose," she said. Another misconception with the program is that prisoners don't care about their health or that they are going to use the needles as weapons. "I think there's an idea that prisoners are somehow different than people in the community," said Ka Hon Chu. "I think from speaking directly to prisoners over the years ... they do care about their health. They may be doing drugs, but they don't want to be infected with Hepatitis or HIV." "Drug use is still illegal, if you are found with drugs then you will be penalized according to the prison rules," Ka Hon Chu said. "Drugs are illegal in the community too, [but] you have access to harm reduction so when you do use drugs you're not exposing yourself to harmful infections."